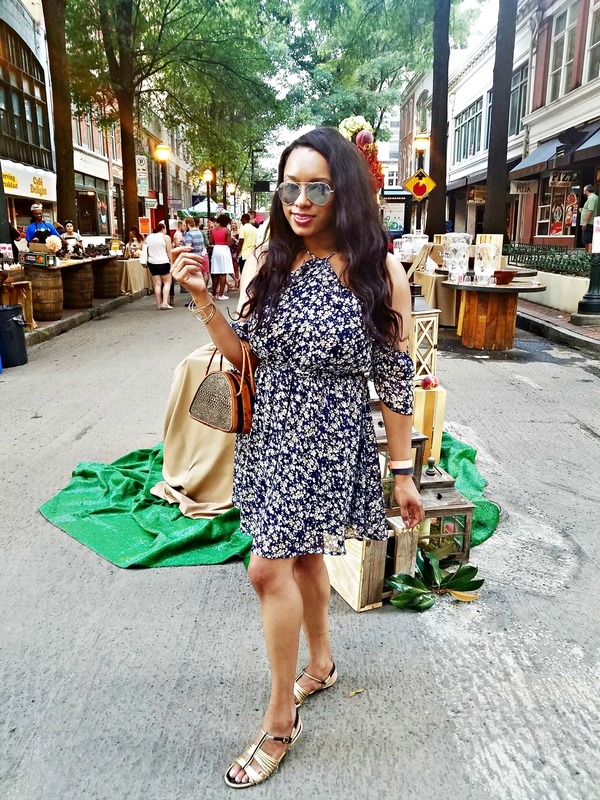 PeachFest made its debut in Atlanta, and I couldn’t be happier. 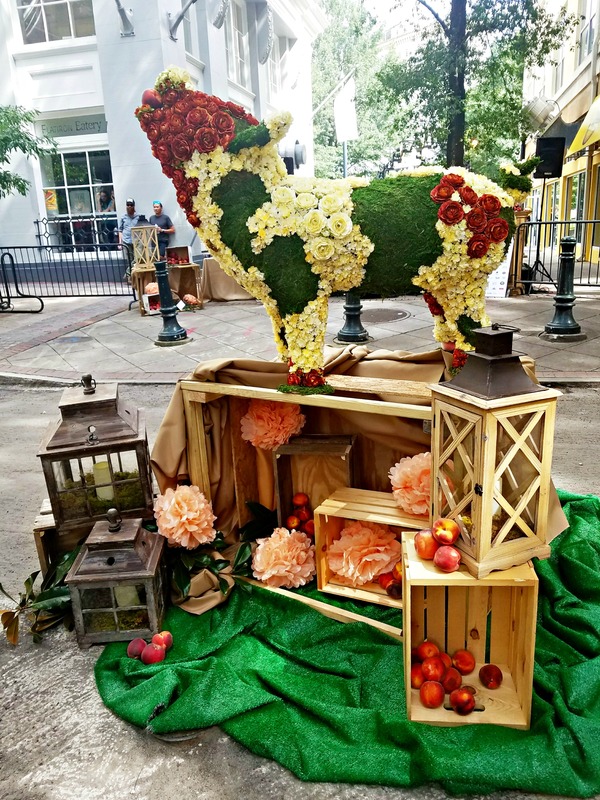 Although it’s called PeachFest, this was a celebration of all of Georgia’s agricultural jewels. I’m talking blueberries, Vidalia onions, peanuts, and pigs. Even better, PeachFest is also a non-profit festival and the proceeds raised will benefit Piggy Bank. Piggy Bank helps emerging family farms and producers in the great state of Georgia and beyond. I’m all about good causes, and it doesn’t hurt that this particular cause is such an important one for all of us in the good ol’ US of A. 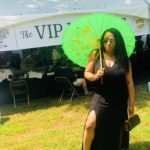 On August 13th, I attended the city’s most anticipated festival–VIP-style. That meant I got to arrive an hour early and I totally needed every extra minute to take full advantage of the peachy deliciousness that laid ahead of me. I actually ended up hanging out until the event wrapped up…it was that much fun. 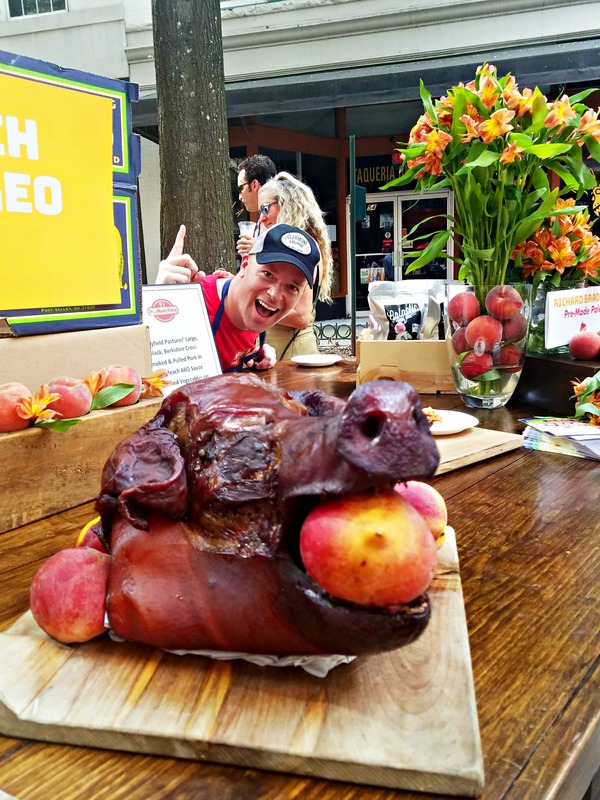 This little piggy got photobombed by Chef Richard Bradford of Pre-Made Paleo! 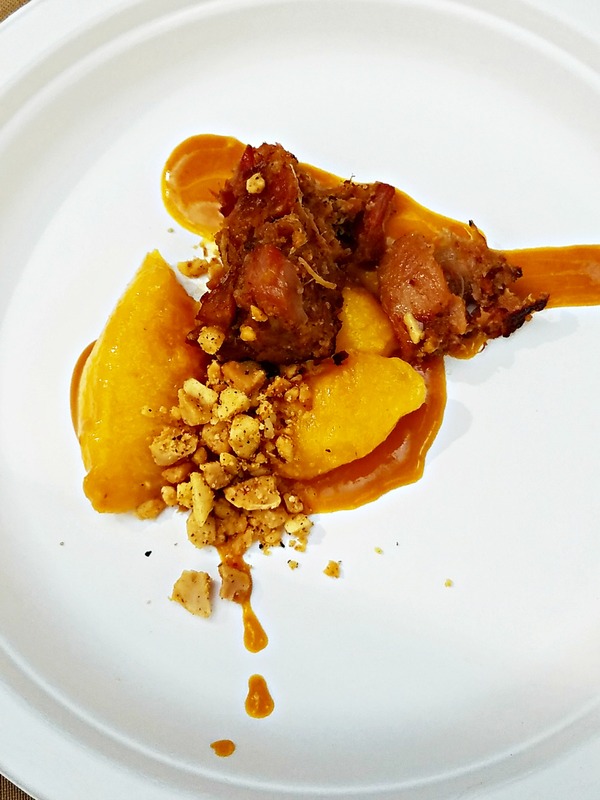 We noshed on peach-smoked pork served on chicharron with peach BBQ sauce and pickled shallot. Yep, it was as good as it sounds. 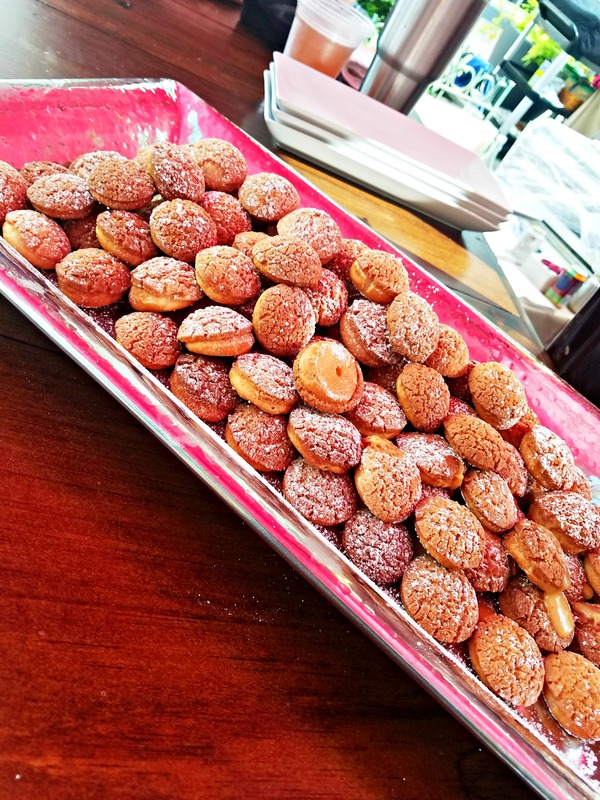 Betcha can’t eat just one of these sweet treats, served up by Chef Paul Westin of Rathbun’s…I definitely couldn’t. This pork dish was pretty spicy. But the sweetness of the peaches soothed my tastebuds. 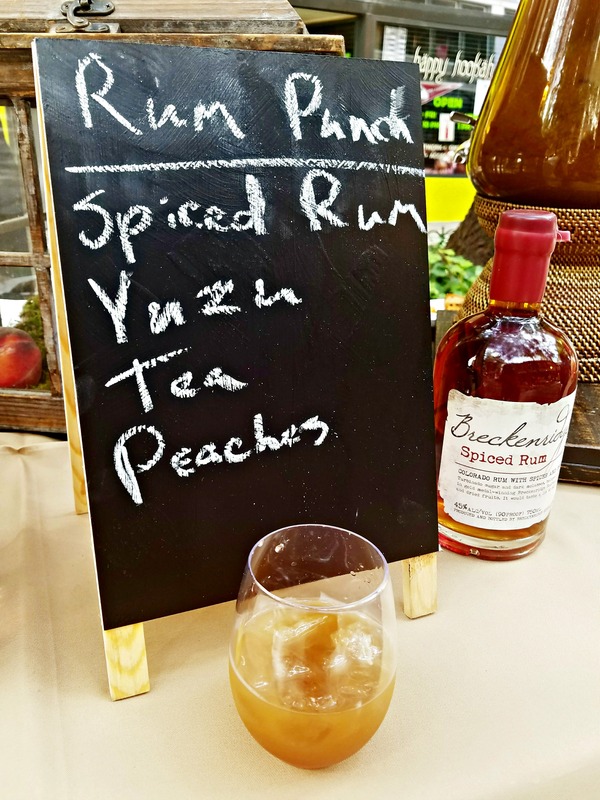 I won’t tell you how many glasses of this peachy Rum Punch, made with Brekenridge Spiced Rum, I had. Just know that I felt greeeeeeat all afternoon. 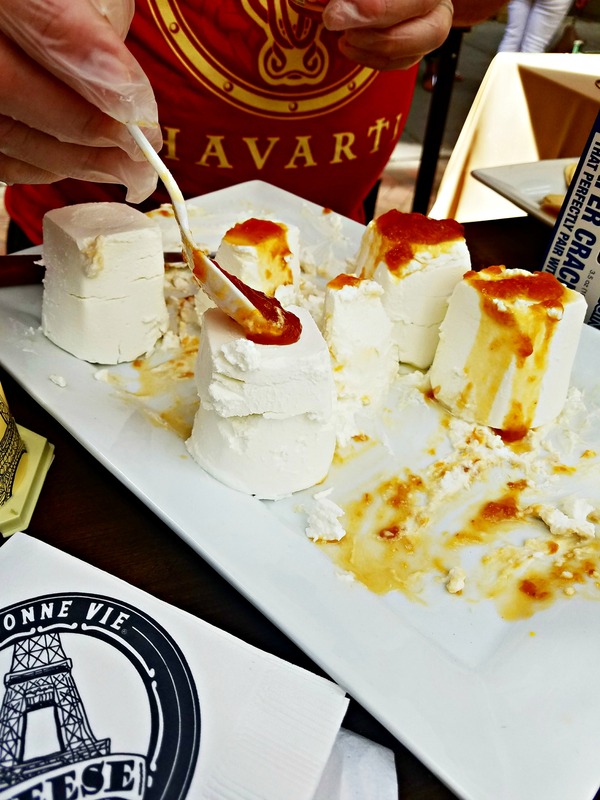 This was a very small portion of the incredible foods and spirits we enjoyed. 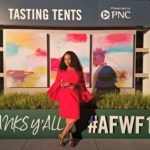 Some of Atlanta’s best and brightest were in attendance, and the event will continue to grow and grow over the years. 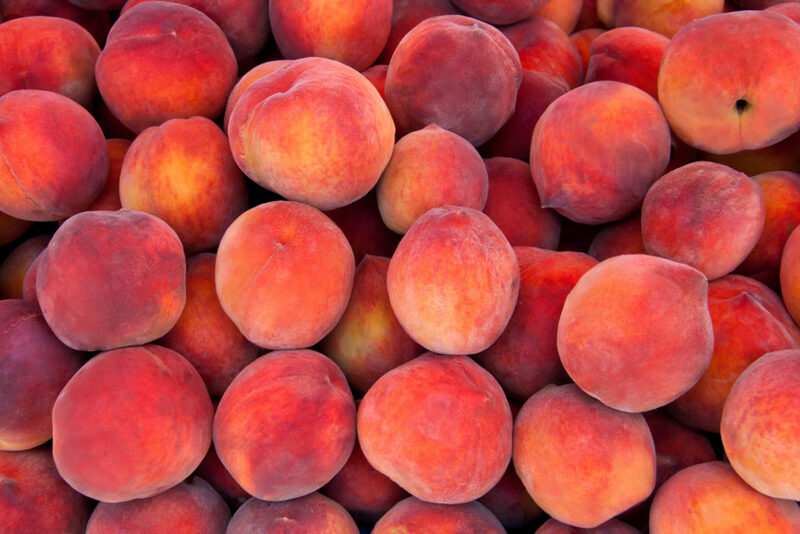 I absolutely can’t wait to attend next year’s PeachFest. 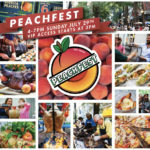 Visit peachfest.org for more info, and to make sure you don’t miss out on the fun!